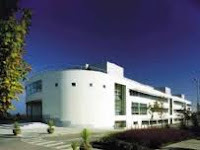 The International Student Scholarship is available only to international students who are beginning an undergraduate or postgraduate programme at WIT for the first time.A maximum of ten awards may be made annually, on an ex-quota basis with not more than four new awards being made annually in any one School. The International Student Scholarship will provide for a reduction in tuition fees of EURO 3,000 for one academic year for Undergraduate progarmmes and one year Higher Diploma programmes and EURO 3,150 for Postgraduate programmes. Undergraduate: Any 3 or 4 years degree programme. Scholarship available for entry into all years of Bachelor programmes except final year. The scholarships are open to international students only (Non-EU). You have a minimum IELTS score of 6.5 or equivalent. Before you can be considered for an International Student Scholarship you must have already applied for one of the programmes above. If you have not, please refer to the official website for information on how to apply. Applications must be made on the prescribed form (complete the online application form) and submitted to the International office on or before 31st May 2012.